Our tour was scheduled for the morning, so we just wandered around the port area for a bit in the morning looking for a magnet. I thought it interesting that I had to produce my key card and give my room number to avoid duty on my $4 magnet. Overkill much? 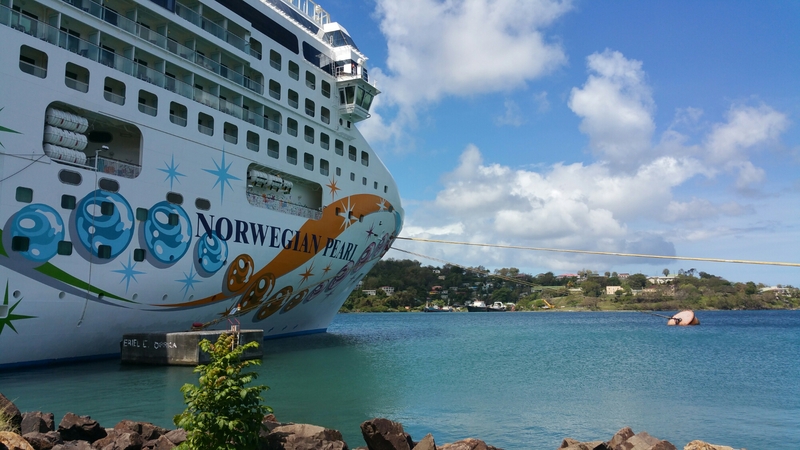 But doesn’t the Pearl look at home in St Lucia? Our Between the Pitons cruise began on a bad foot when the boat kept us waiting an half an hour beyond our scheduled time, in the hot sun, because the “captain” needed to get lunch. Seriously? They have never heard of “brown bagging it”? Or eating some of the sandwiches provided? And where was the NCL shore ex department coordinating this? Needless to say, they rushed through our tour (shortened swim time, shortened time at the Pitons, etc) because of the unnecessary delay. I have to wonder if they would have been more timely if they hadn’t been a ship tour? They knew the ship would wait if we were late…which we were. 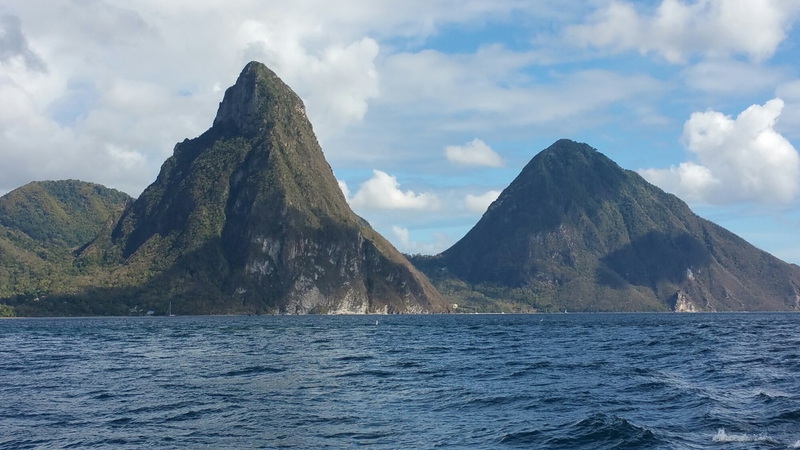 Regardless of the issues, I enjoyed the tour and was glad that I got to see the Pitons close up. 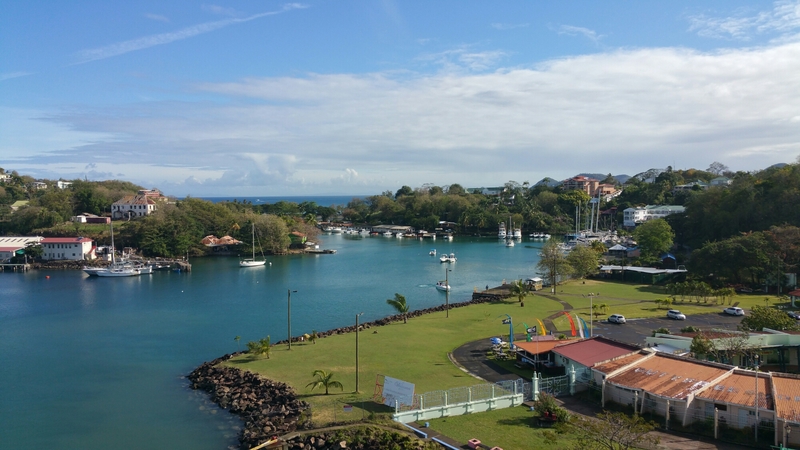 Overall I did enjoy our day in St Lucia, and wouldn’t mind visiting here again.